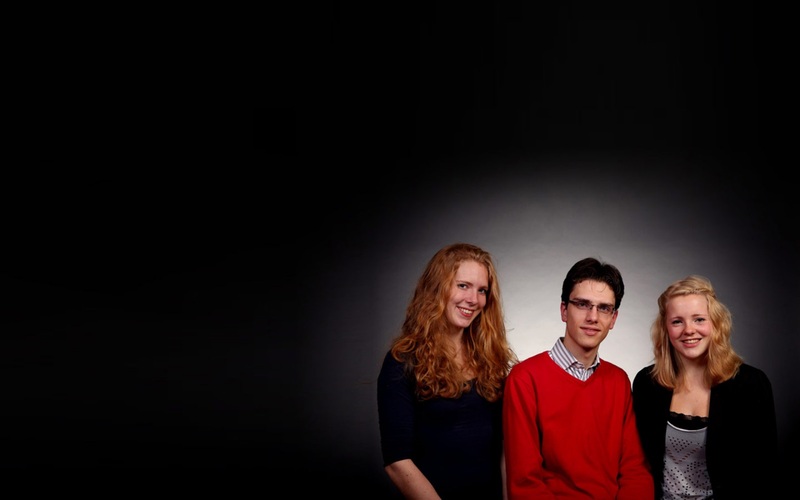 The Chimaera Trio consists of Annemiek de Bruin (clarinet), Irene Kok (cello) and Laurens de Man (piano). These three young musicians, who are also active on an individual basis, met while studying at the Amsterdam Conservatory. As a trio, they present themselves through highly varied programmes, in variable combinations. They are frequent and experienced performers and, for example, took the stage at Janine Jansen’s Internationaal Kamermuziekfestival Utrecht (December 2012) and at the chamber music festival Kamermuziek in het Groen (June 2013). The ensemble was coached by, among others, David Kuyken, Ralph Manno, Arno Piters and Marc Vossen. In January 2013 the trio was granted the Audience Award during the final of the Storioni Ensemblewedstrijd and won first prize at the Tristan Keuris Kamermuziekconcours (June 2013). Recordings of their performances were broadcast on Dutch Radio several times.